West coast Vancouver Island Chinook populations have drastically declined in recent years, making the long term abundance and survival of this species uncertain. Widespread concerns have resulted in their designation being considered by the Committee on the Status of Endangered Wildlife in Canada. Having sustainably utilized this resource for time immemorial, First Nations consider the Chinook salmon sacred and irreplaceable in their culture. Chinook provide an enormous resource for people on the coast and are a key component of marine and terrestrial ecosystems. This species alone is imperative to the survival of the threatened Southern Resident Killer Whales. Like many other salmonid species, their declines are largely rooted in habitat loss. 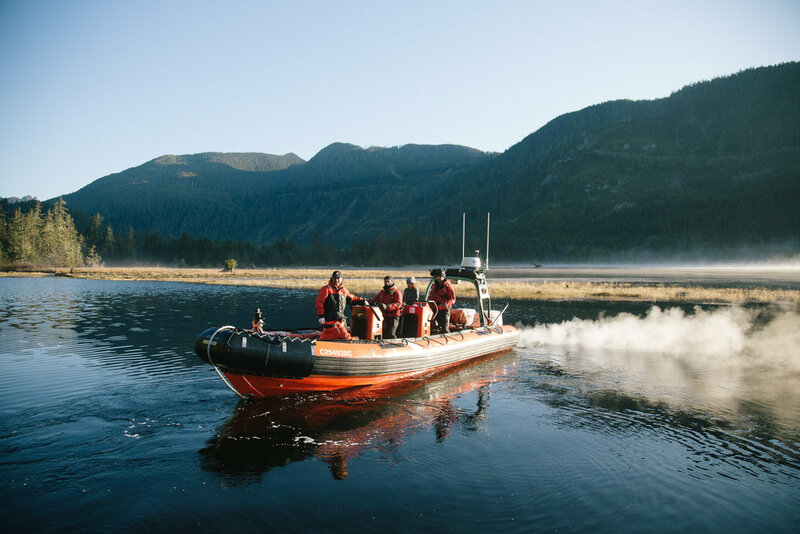 The Tranquil Creek watershed is located approximately 20 km east of Tofino, B.C., in Clayoquot Sound on the west coast of Vancouver Island and is located within the traditional territory of the Tla‐o‐qui‐aht First Nation. Tranquil Creek once supported healthy stocks of Chinook, Coho, Sockeye, Chum, and Cutthroat Trout. As with many watersheds within this region, Tranquil Creek was subjected to massive resource extraction starting in the mid-century. At this time fish and wildlife habitat was of little concern to industry, and many creeks and streams were damaged or destroyed. Half a century later, although logging and mining operations have improved, many of these creeks have still not recovered. Though Chinook salmon still return to this system, their numbers have significantly decreased. Chinook require unimpeded passage and adequate habitat conditions in order to achieve successful migration to their home spawning grounds. Delays in migration due to obstruction are known to reduce survival through increased predation and a loss of vital energy reserves. Landslides, extensive erosion, lack of mature trees and riparian cover, infilling of pools, lack of quality spawning habitat, loss of eelgrass and sedge grasses, and a reduction in estuary habitat were all identified in the Tranquil Creek Habitat Status Report completed in 2016. Industrial scale logging in the 1960’s saw that up to 80% of the lower anadromous reaches were clear-cut to the river bank. Since 1994, over 50% of the estuary salt marsh habitat has been lost and buried in sediment. All of these factors are inhibitors on Chinook populations recovering. The goal of the Tranquil Chinook Recovery Initiative is to restore wild Chinook populations by developing a restoration plan and by restoring critical Chinook habitat.